On 20 May, during the Divine Liturgy at Christ the Saviour British Orthodox Church at Bournemouth, Abba Seraphim incardinated Hieromonk John, having restored him to the ministry by absolution. Father John previously served in the Anglican Church, but was received into Orthodoxy and ordained by Abba Seraphim in 1994 to serve in Glastonbury. Sadly, in 1997 he left the British Orthodox Church and served in a number of other jurisdictions, but recently requested to return to the Church in which he first became Orthodox. Father John is known for his great love of our indigenous Orthodox saints and wrote a valuable pilgrim’s guide to the holy sites of Glastonbury. 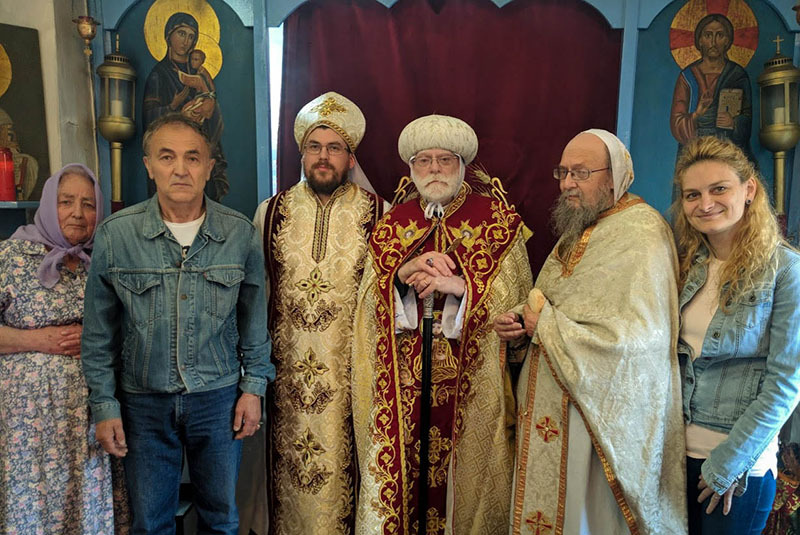 Regular weekly celebrations of the Divine Liturgy will now resume at the Bournemouth Church.